The Dark Teal: Inspiration mood. Inspiração para estes dias de calor, a anunciar o Verão que aí vem. Camurça no tom natural e shorts pretos. Alpergatas com um toque chic e malas em pele [ou a imitar pele] intemporais. Detalhes boémios nos acessórios para completar o look. 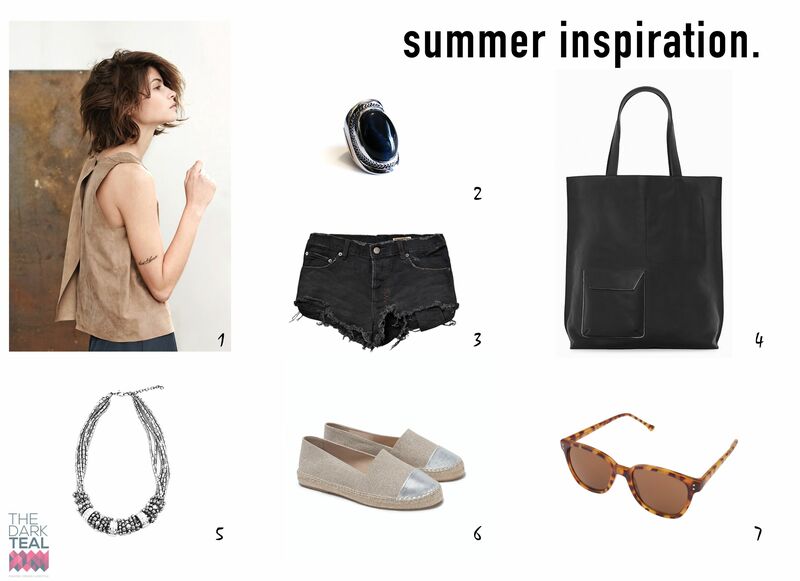 Inspiration for these warm days, announcing that the summer is coming. Suede in its natural tone and black shorts. Espadrilles with a chic touch and timeless bags in leather [or fake leather]. Bohemian details in the accessories to complete the look.